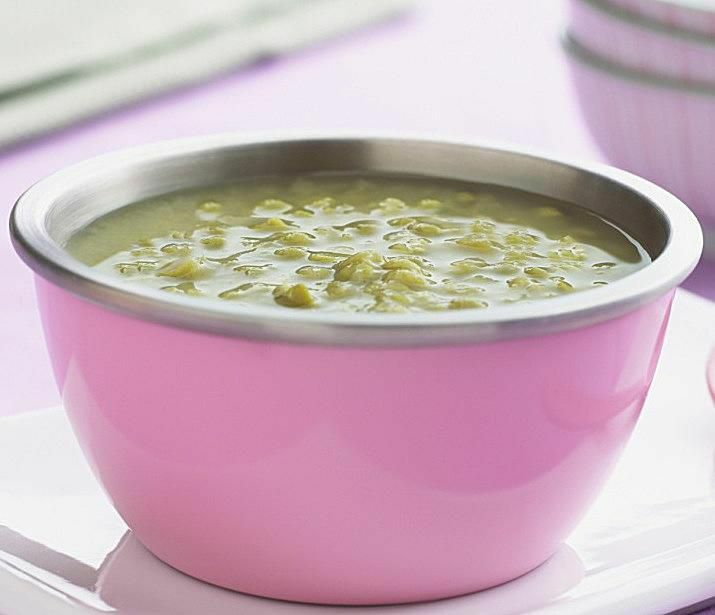 Pea and Ham Soup is a classic British soup and is normally made using dried, split peas which is delicious but does require some planning for the long slow cooking of the split peas. Another great way to make a similar soup is with this Green Pea and Ham soup. The recipe calls for frozen green peas which are often already in your freezer (they are in mine). As well as peas, the soup uses a chunk of cooked ham and is the perfect way to use up any leftover baked ham from Christmas or Easter, or any other time you have some. Trim away any fat and chop into small pea-sized chunks. Mint is the perfect partner to peas but feel free to ring the changes as you can see in the notes below. In a large heavy-based saucepan, heat the oil to hot but not burning. Add the onions and cook over ​a medium heat until translucent - about 5 mins, take care not to cook too high, the onions should be softened but not browned. Add the garlic and cook for another minute. Add your chosen stock, chopped parsley, the leaves from the sprig of mint, 2 cups/300 grams of the peas and 2/3 cup/100 grams of the ham (keep the remaining peas and ham to one side for later). Simmer over a gentle heat for 10 minutes, the peas should be cooked and the ham warmed through. Blend the soup in a food processor until a thick, chunky soup is created; if you under blend the soup, the skins of the peas will still be visible, make sure these are well blended. If the soup is too thin it can be reduced down to the next step, too thick then add a little boiling water. Pour the soup back into the saucepan, add the remaining peas and ham and cook until the peas are cooked and the ham warmed right through. Check the seasoning and add black pepper and salt as desired, be very careful with the salt as the ham can be quite salty enough. Serve in warm bowls with a few shredded mint leaves on top and chunks of bread and butter. Mint is a great herb for peas but feel free to replace with your herb of choice. Tarragon and chervil also make great partners to green peas and to ham.